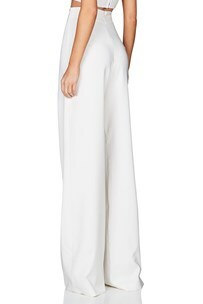 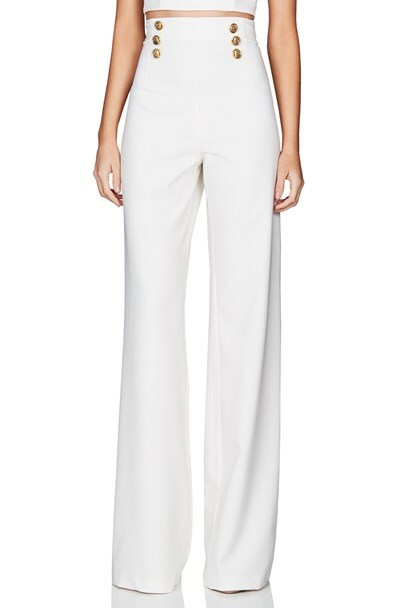 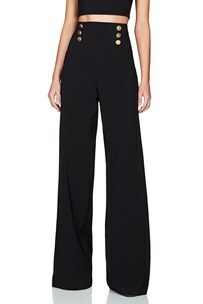 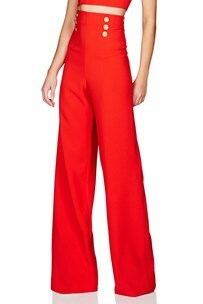 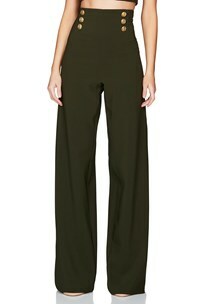 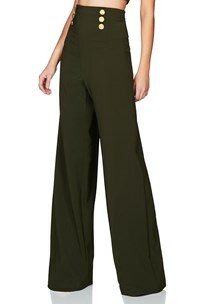 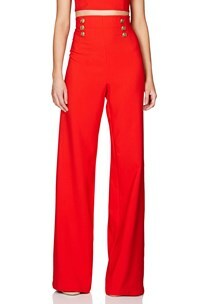 Sleek wide leg pant with gold button details Made from our classic stretch suiting. Slim fit waist and wide leg hem. 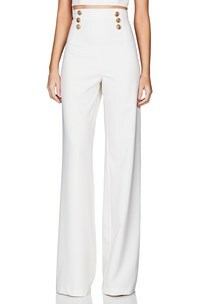 Invisible zipper centre back.